Whether you are a fitness fan inspired by nature’s energy to ‘move-it’, an artist seeking your muse, or a busy executive finding a rare moment of quiet contemplation, spending time in Noosa National Park will leave you feeling alive and refreshed. Most visitors to Noosa would be familiar with the headlands section of Noosa National Park that is a short walk from Hastings Street along a forested coastal boardwalk. 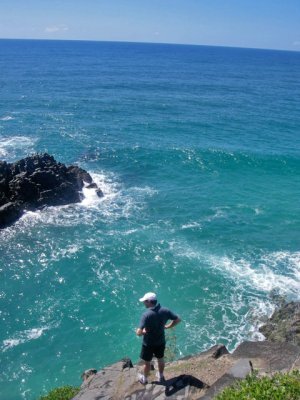 This section of Noosa National park is a miraculous natural wonderland and a variety of walking tracks can be explored. 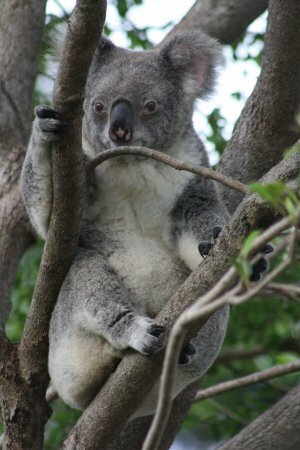 You’ll often see groups of people straining their necks gazing at koalas in the eucalypts along the boardwalks. Dolphin and turtle sightings are also common and the sweeping coastal views are great for spotting whales in the season. 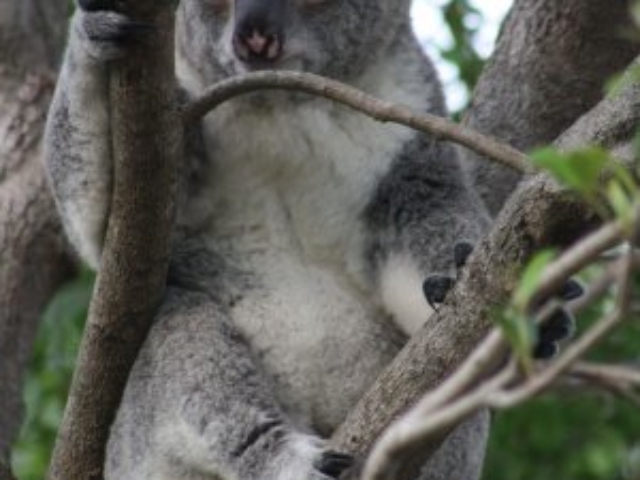 A plethora of animals make the park their home including goannas, bandicoots and possums. The park is also a bird-watcher’s heaven with Eastern Ground Parrots, Glossy Black Cockatoos, Eastern Yellow Robins, Rufous Fantails, Satin Bowerbirds and Crimson Rosellas all residing here. 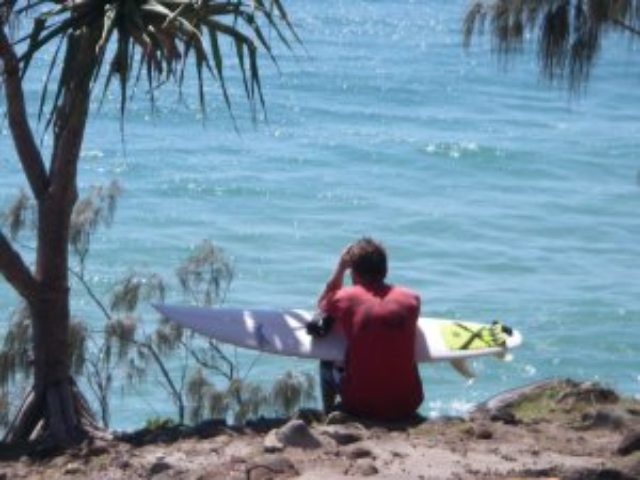 Popular swimming and surfing beaches are easily accessible via the coastal track. 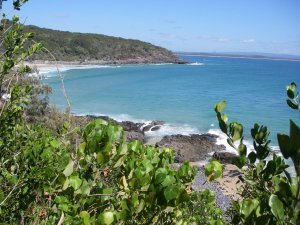 The early settlers of Noosa Heads set aside a small reserve here in 1879 and the reserve officially became a national park in 1939. But all was not safe and sound for this natural gem when urban development was threatening the wilderness area in the early 1960’s. Local community spirit awakened and advocates for the park’s protection became ac-tive to protect the area from development. This resulted in the formation of the Noosa Parks Association that has continued to lobby for the protection of the areas natural features. Today, nearly the whole of the coastline from Rainbow Beach to the mouth of the Noosa River, covering more than 65,000 hectares, has been reserved as national park. The Noosa National Park itself has been extended to cover several thousand hectares and there is now a con-tinuous ‘greenbelt’ running from Noosa Heads south to Coolum. The 4,000 hectare park is divided into four sections; Headland Section, Peregian Section, Emu Mountain Section and the East Weyba Section. This is a phenomenal achievement for the National Parks Association and it reflects the tenacity of a community keen protect and enhance the unique natural and human assets that endear people to Noosa. The National Park is so close to Hastings Street that you can walk all the way to the park entrance along the coastal boardwalk. 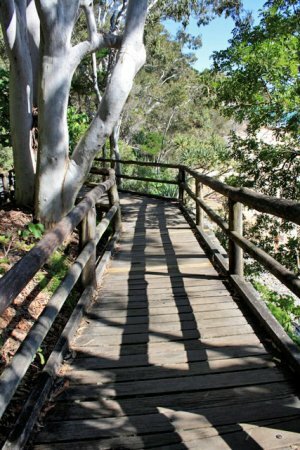 The boardwalk goes past Little Cove Beach and is cleverly constructed to minimize impact on the tall eucalypts that line the coastal walk. Alternatively you can drive to the National Park entrance. The National Park has shaded picnic area and BBQ areas for visitor use. There is also a visitor information centre operated by the Noosa Parks Association and a canteen in case you need to grab a quick coffee or refreshment before your walk. Skirting the shoreline from the main park entrance to northern Sunshine Beach, the Coastal track provides many spectacular coastal views. The track winds through coastal forest dominated by eucalypts and tee-trees. 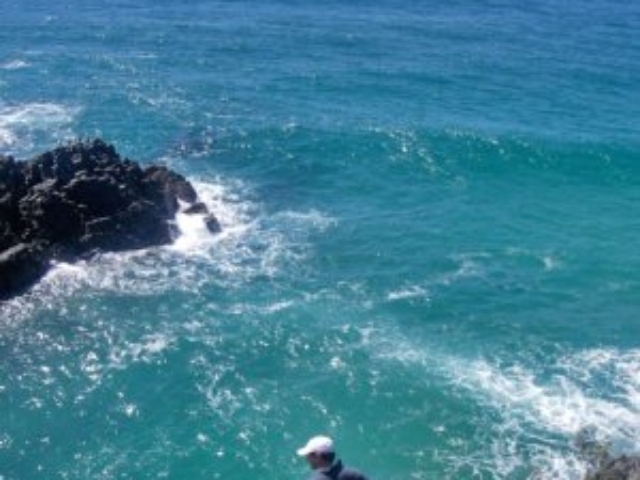 The boiling point lookout is a short walk in and a great spot to watch for local marine life and surfing action. 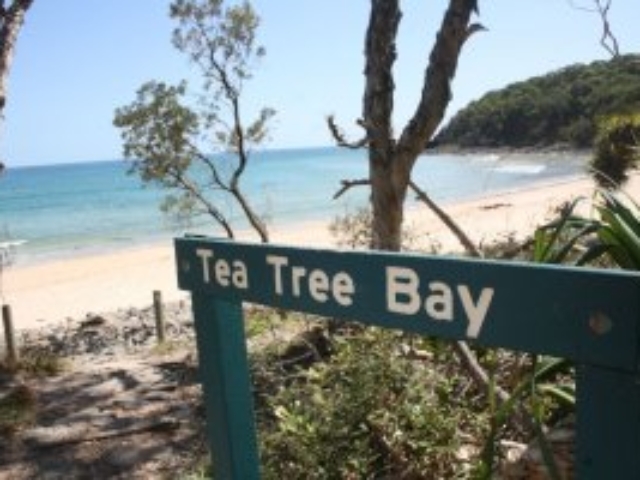 Further on, Tea Tree Bay is a secluded beach with easy beach access, shaded areas and public toilets. 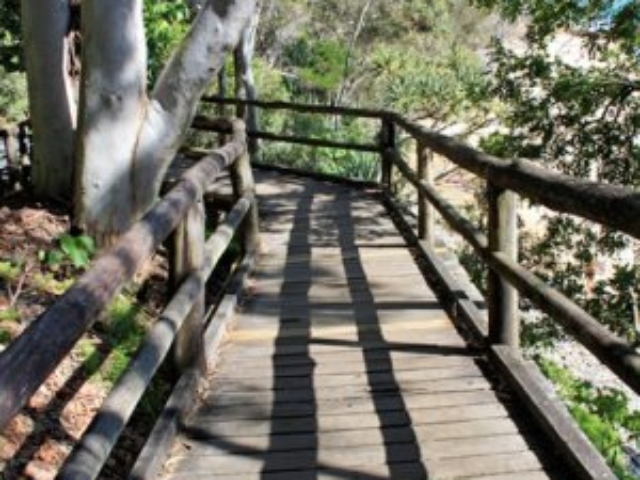 The Coastal track has a sealed pathway suitable for wheel chairs and prams to Tea-Tree Bay and beyond to Dolphin point lookout. The track continues past Granite Bay that is popular with surfers chasing the points breaks off the headlands. As you head closer to the headlands and Hell’s gate, the coastal vegetation thins and glorious sea breezes swept through off the Pacific Ocean. 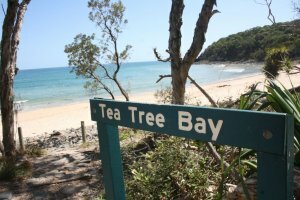 The track leads to cliffs around Hell’s Gate with spectacular views north across to Rainbow Beach and Fraser Island and South across Alexandria Bay. Hell’s Gate is a cavernous inlet with waves crashing into the steep rocky inclines below. Sea turtles, manta rays and dolphins are often spotted hunting in the waves below. From Hell’s Gate you can walk down to the Alexandria Bay and rejoin the Coastal track at the southern end of the beach. The track goes all the way to Sunshine Beach past Lion’s Rock and the Devil’s Kitchen once again offering spectacular views. 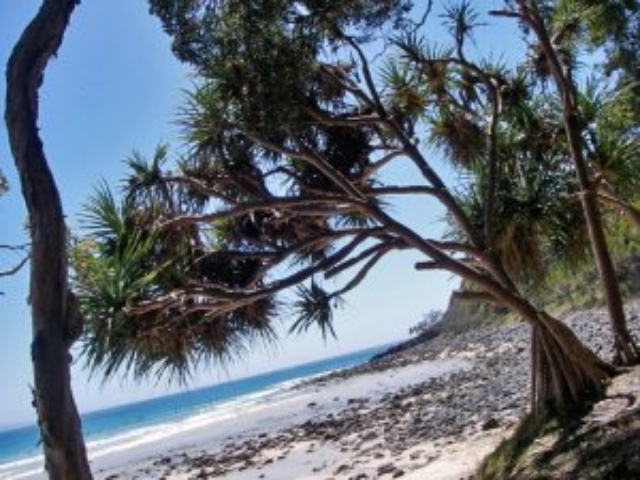 You can walk the Coastal track from Noosa to Sunshine Beach and catch a bus back. You’ll need to walk 1.2 km further south along the beach to the bus stop outside the Sunshine Beach Surf Life Saving Club. Allow 15–30 minutes for this walk. The Palm Grove circuit is a short circular walk from the picnic area at the park’s entrance into Australia’s primordial forest past. From the day-use area, walk through rainforest with hoop pines and piccabeen palms and watch for wildlife the predatory strangler figs as they slower strangle and devour their prey in the fight for light and supremacy in the forest. Tanglewood track (3.8km) Continue to Hell’s Gates and return via the Coastal track for 6.9 km circuit. Alter-natively, walk to Hell’s gate via the Coastal Track and return via the Tanglewood track. Allow 2–3 hours for this walk. The Tanglewood track is aptly named with magnificently gnarled coastal trees creating a tangled web of branches overhead as you meander through. This track meanders through rainforest, open eucalypt woodlands and closed woodlands to northern Alexan-dria Bay. If starting on the Tanglewood track from the park entrance, the track begins beside the toilet block in the day-use area. Allow 1–1.5 hours for this walk. It is a steady grade leads through open eucalypt woodlands and shrub lands to the top of Noosa Hill. Views to the coast are restricted due to thick vegetation. This track begins past the information display, just before the entrance to the Coastal track. Allow 1–2 hours for this walk. From Parkedge Road, a sandy track winds through open woodlands and heathlands to Alexandria Bay. You can also access this track via the Tanglewood track and from McAnally Drive. 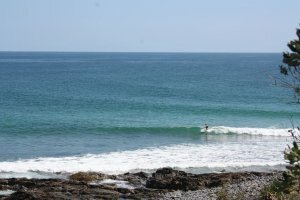 Alexandria Bay is a popular swimming and surf beach.